Union Minister of State for Health and Family Welfare, Faggan Singh Kulaste, told the Parliament that the drop in infection cases was due to strict compliance of guidelines issued by the government. Safdarjung Hospital has witnessed a record drop in the number of patients who acquire infection at its intensive care unit (ICU). According to a survey conducted at the central government hospital, 39 patients per 100 acquired infection at the ICU units in 2017. This is a sharp drop from 2015, when the figure stood at 60. No such survey was conducted in 2016. The hospital has one of the oldest and largest burn units in the coutry, with a 108-bed facility, including 12 ICU beds that are occupied through the year. The hospital also has seven dedicated ICU beds for seriously ill patients. According to the survey, conducted to record complaints of infections, “healthcare associated infection of ICU” at the hospital “came down from 60 in 2015 to 38.9 per 100 patients in 2017”. Union Minister of State for Health and Family Welfare, Faggan Singh Kulaste, told the Parliament that the drop in infection cases was due to strict compliance of guidelines issued by the government related to “infection control, sterilisation, disinfection, biomedical waste management and antibiotic policy”. At the hospital, officials attribute the success to strict compliance of “hand hygiene” at the tertiary care unit. Patients in the ICU are highly susceptible to acquiring infections, spread by carriage of multi-drug resistance micro-organisms on the healthcare workers’ hands. In such a scenario, “hand hygiene” is considered the single most important measure to prevent spread of such infections. “The drop is significant due to strict compliance of hand hygiene. Each ICU is well equipped with antiseptic hand-washing facility. This is the first step. 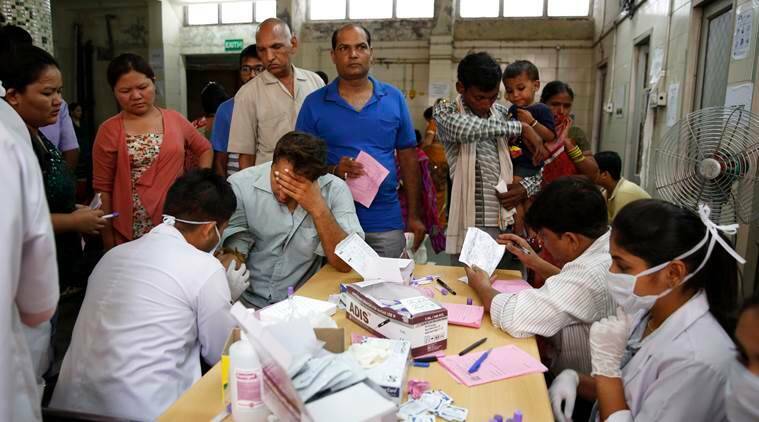 And then we have provided training to physicians, resident doctors and nursing staff about the risk of transmission of infections and the ways to control it,” said Dr A K Rai, medical superintendent at Safdarjung Hospital. Officials also said that installation of high efficiency particulate air (HEPA) filters at the ICU has led to the drop. “While hand hygiene is the single most important reason for the drop in infections at the ICU, installation of HEPA filters has also helped trap harmful particles such as pollen, tobacco smoke and dust mites. This mechanical way of controlling the air quality entering the ICU has helped reduce the rate of infections acquired in the ICU,” Dr Rai said. The World Health Organisation estimates over 1.4 million cases of HAI (hand-acquired infections) at any given time, although this is likely to be a gross underestimation due to the lack of proper surveillance.